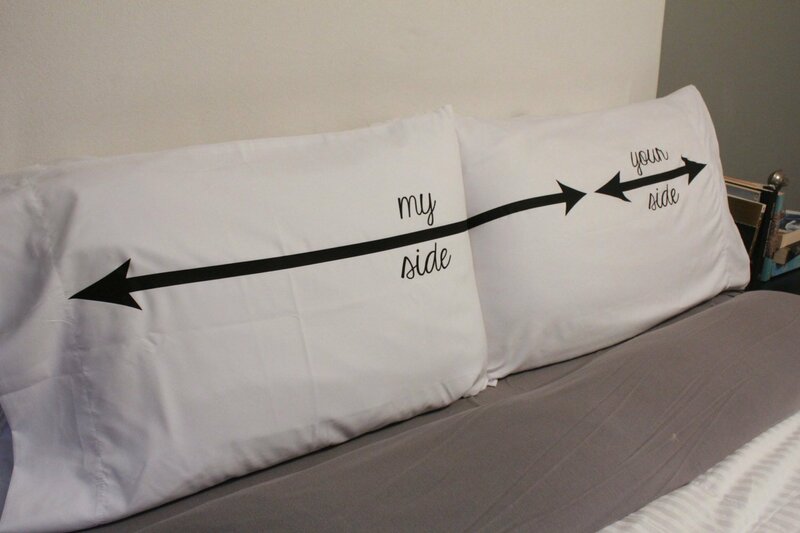 14 Cute, Fun and Romantic Pillowcases for Couples! Looking for a cute and fun but also romantic Valentine’s Day gift idea for your wife or girlfriend today? What a cute way to say ‘I Love You’! I’m sure she’s going to appreciate her gift! Cutest Couple Pillowcases for Sale! The cute ‘girl stick figure’ (who is very much in love!) was finally able to ‘tie the knot’! She used her special ‘love string’ to help her groom make it all the way to the altar! 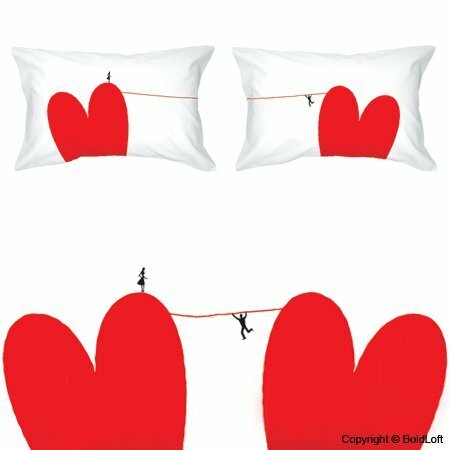 Catch My Heart Romantic Couple Pillowcases! These are the perfect Valentine’s Day gift idea for a couple in a long distance relationship! Nothing can keep you apart! The cute cartoon girl is sending all her love (represented by the cute red heart) all the way to her love! Adorable Couple Pillowcases for Sale! Will definitely make you guys smile every night before going to bed! Catch My Love Romantic Pillowcases! The cute girl stick figure is now blowing red heart kisses to her love who is catching them all using his special red heart catcher net! Fun Red Hearts Pillowcases for Couples! You’re so Beautiful…to me Cute Pillowcases! Cute Blowing Red Hearts to Her Pillowcases! 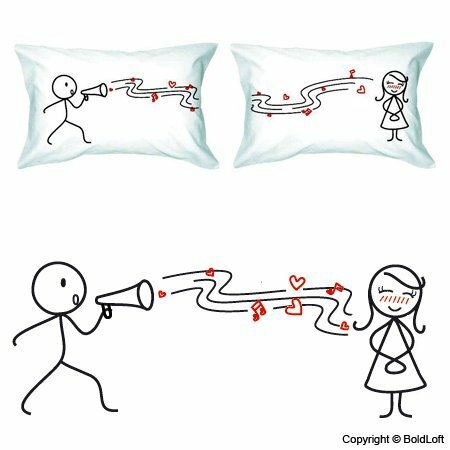 Don’t you feel like collecting all these adorable and very romantic couple pillowcases? You can’t help but smile when you see them! 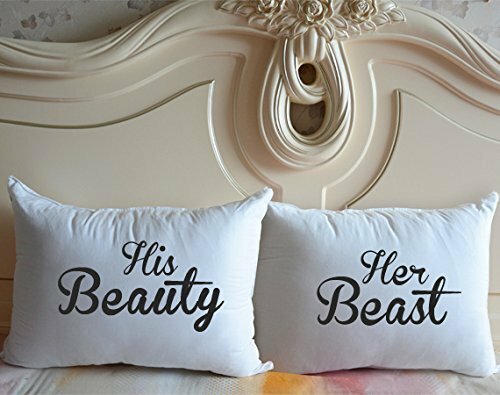 Awesome Couple Pillow Covers that Say His Beauty Her Beast! His Beauty and Her Beast couple pillow covers for sale! I Belong with You You Belong With Me Romantic Pillow Covers! You guys definitely belong together! 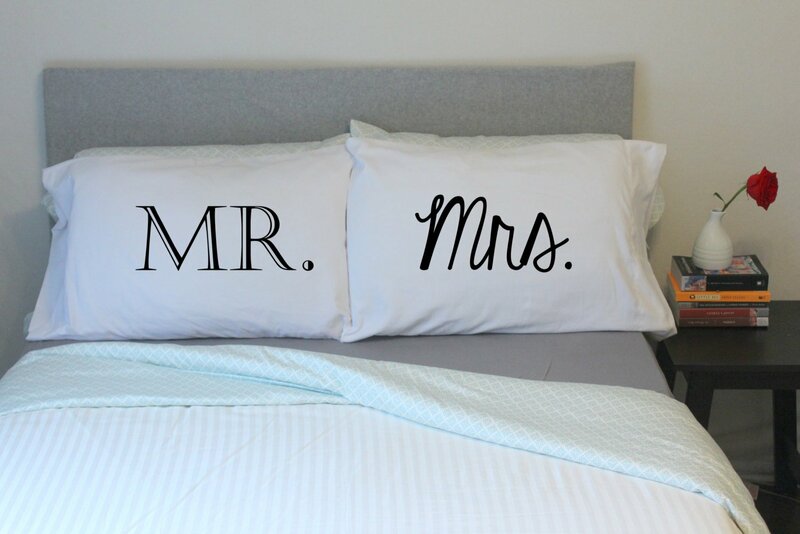 Mr and Mrs Couples Pillowcases for Sale! They are also very soft and will stand out on your new bed! Fun My Side Your Side Pillow Cases! 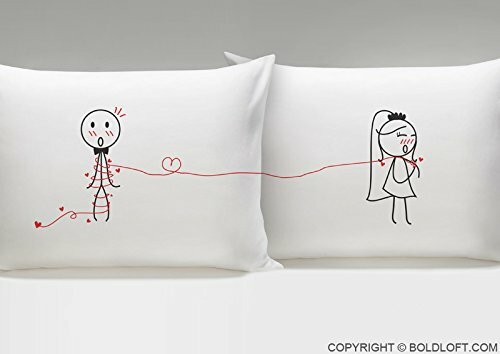 Another fun, cute and unique pair of pillowcases for couples! Great way to start your new married life! 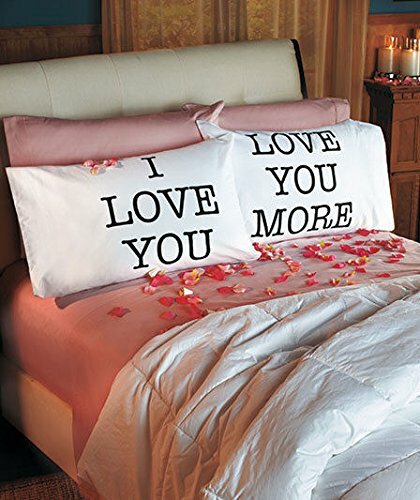 I Love You and Love You More Very Cheap and Romantic Pillowcases! 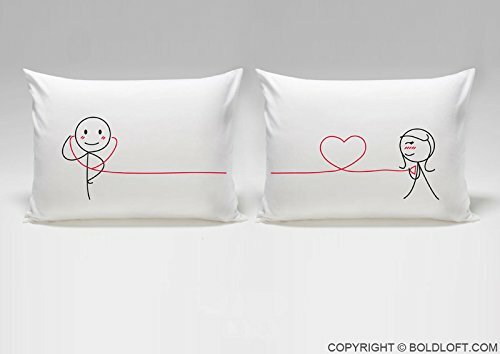 These are among the cheapest couple pillowcases for sale around! One says ‘I Love You’ and the other says ‘I Love You More’! Great fun gift idea for newlyweds or for Valentine’s Day! 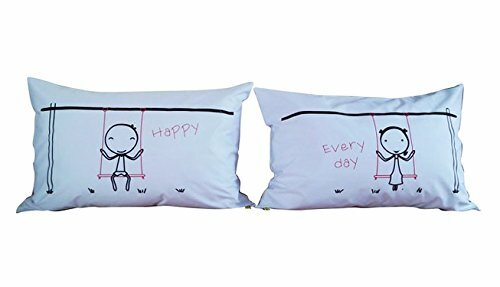 BEST Love Couple Pillowcases for Sale! And I saved the very best for last!! 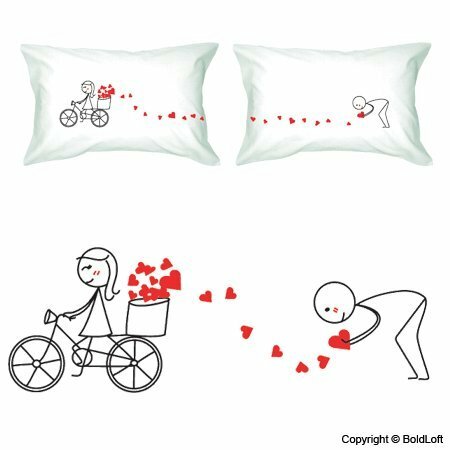 You will be able to choose among 29 different and very romantic couple pillowcases!! And they are also available in colors if you prefer! Just leave a message for the seller! They are made from 100% cotton and are incredibly SOFT! How about also getting some romantic bedding?